Hi. I’m Jude. And I’m a pre-schooler. I have cousins who are picky eaters, so my mama was determined that I would be a good eater. This blog documents her efforts. Along the way, she schools me in cooking methods and techniques, while exposing me to new foods. And I always give her my honest opinion. We cook seasonally and eat locally and organically as much as possible. Mama tries to limit my sugar (but she has a really big sweet tooth of her own to contend with), and we follow a pescatarian menu, for the most part. And Papa makes an appearance here from time to time, too. Thanks for stopping by. Poke around and find a recipe (or two), and please feel free to leave us a message, especially if there’s something you want to see Mama make for me. 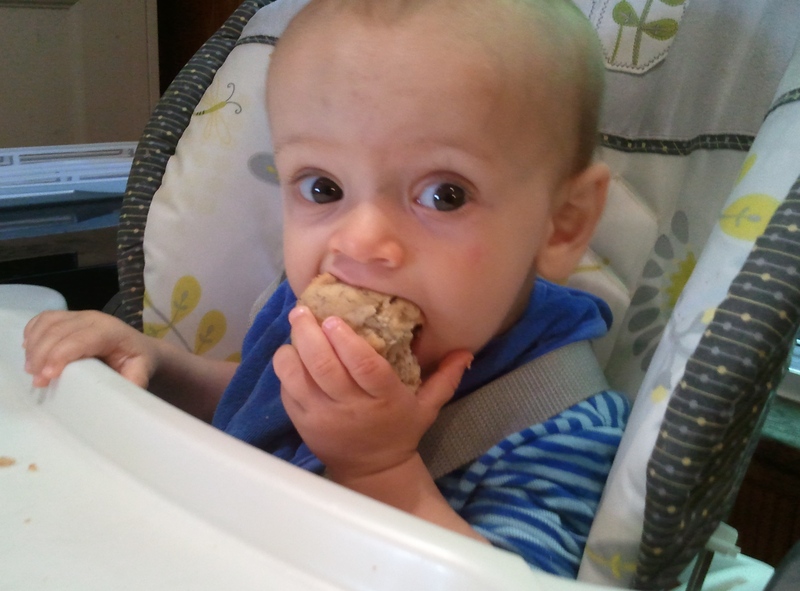 Here I am, munching my egg-free, low-sugar banana muffin for my first birthday.